Welcome To Four Legs Racing! 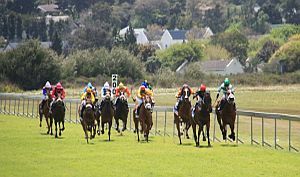 Four Legs Racing was set up to take advantage of the extraordinary value available in the South African Thoroughbred marketplace. We put together small groups of individuals to share in the thrill of owning a top quality racehorse for a fraction of the cost of a similar experience elsewhere. 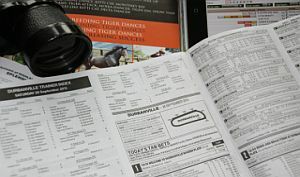 Why not join us in this exciting new venture and experience the unique thrill of racehorse ownership. 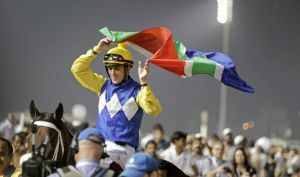 Four Legs Racing puts individuals together to form Racehorse Partnerships and focuses on South African Racing where our horses will be sourced and raced. Cape Town has racing throughout the year. We have some really exciting young horses available now! Currently trading at less than 20% of the price of thoroughbreds from other major racing nations, thoroughbreds from South Africa represent terrific value for money. 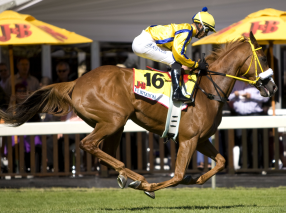 There could not be a better time to get involved in a South African thoroughbred racehorse. Consistent success at the Dubai World Cup meeting over many years has been backed up with top class performances at the highest level in Europe, USA and Asia. Variety Club made history with scintillating performance to win the Queen Elizabeth II Cup in Hong Kong and stamp himself one of the best milers of recent times.